The Society publishes a wide range of critical guides to individual Priestley titles and underlying themes in his writings. Many will be available to purchase and download here soon. J. B. Priestley’s plays An Inspector Calls, Time and the Conways, I have Been Here Before and The Linden Tree are available in a single volume published by Penguin: An Inspector Calls and other Plays. An Inspector Calls is also published in a single volume by Heinemann. Samuel French publishes a number of Priestley plays in acting editions. Oberon Books is the main publisher of Priestley’s wider dramatic works. 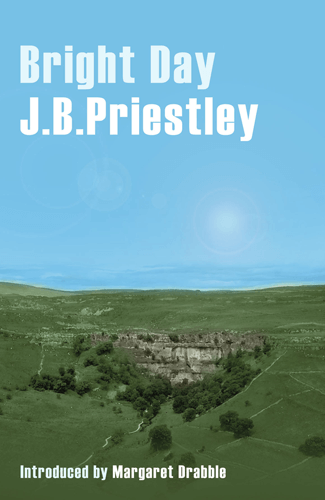 It publishes a volume of his writings about the stage, The Art of the Dramatist, and his plays, Eden End, Johnson Over Jordan, Dangerous Corner, When We Are Married and Cornelius, and the collections J.B. Priestley: Plays One, Plays Two and Plays Three. Valencourt Books is an American publisher that has reissued a number of J.B. Priestley titles, most of which are available in the UK. Below are the recent new editions of some of Priestley’s major works of fiction and non-fiction published by Great Northern Books. Forewords by Tom Priestley, Nicolas Hawkes and Susan Cooper. 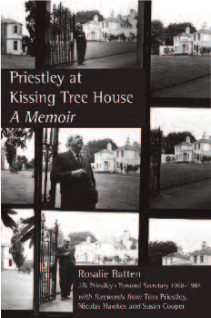 Hidden away for over 30 years and only just come to light – the book reveals Priestley’s daily routines, his writing habits, hobbies, weaknesses, eccentricities and his correspondence with a variety of organisations and people, including family, and other renowned figures of the twentieth century; a warts and all portrait, truthful, revealing, moving. 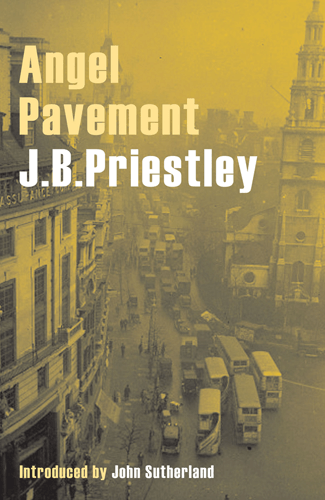 Angel Pavement is one of the great London novels. First published in 1930, it is a social panorama of the city seen largely through the eyes of the employees of the firm Twigg & Dersingham, on the first floor of No. 8, Angel Pavement. Business is bad and getting worse. The firm is fighting for its life and its staff are gripped by the fear of insolvency and redundancy. Into their midst descends the mysterious and charming Mr. Golspie and his beautiful daughter, Lena. Together they set in train a sequence of events that will transform the lives of everyone who works there. Angel Pavement provides readers with a vivid picture of ordinary London life before the war, set against the background of the great depression. Disillusioned writer Gregory Dawson is holed up in a Cornish hotel writing a script he must finish. A chance encounter in the bar triggers memories of the doomed world of his youth before the slaughter of The First World War and forces him to remember his time within a close-knit Yorkshire community, his days spent with the Alington family and his first, tentative steps towards becoming an author. Caught up in this lost world, he realises that to have any chance of a bright future he must first exorcise the ghosts of his past and come to terms with a tragedy that has haunted him for decades. 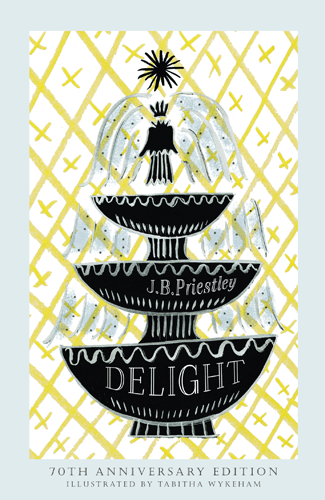 Jungian, semi-autobiographical and Priestley’s own personal favourite, Bright Day is a story and a journey laced with warmth, colour and Priestley’s trademark compassion and tenderness. In the great depression between the wars, ordinary Yorkshireman, Jess Oakroyd, disreputable schoolteacher, Inigo Jollifant and Colonel’s daughter, Miss Trant are all unhappy and unsure about what to do with their lives. Each seizes the opportunity to flee their current situation to seek adventure on the open road. Fate then brings them together and into the presence of a down-at-heel and fractious theatrical touring company. With Miss Trant’s money, their modest talents and buckets of enthusiasm they form a travelling troupe who proceed to sing, dance, drink and argue their way through the pavilions, provincial theatres, towns, seaside lodging houses and market fairs of Twenties’ England. 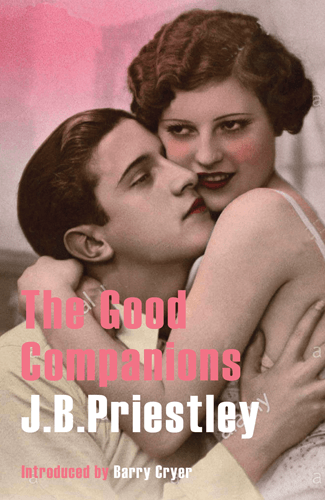 The winner of the James Tait Black Memorial Prize for Fiction in 1929, The Good Companions is a captivating, hilarious, riotous and unforgettable carnival of English life. 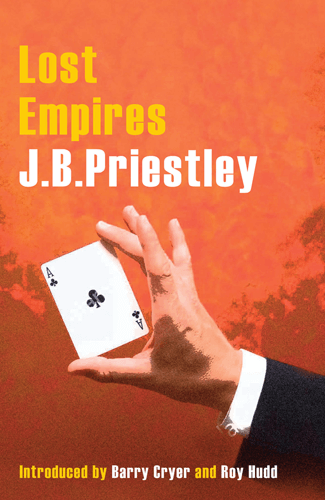 LOST EMPIRES by J.B. Priestley. Lost Empires is J.B. Priestley’s late masterpiece. The First World War is looming and the music halls are thriving. Into the backstage world of dingy lodging houses, outrageous characters and decaying variety stages comes Richard Herncastle, an aspiring painter who has agreed to travel the country with his Uncle Nick, the half lovable, half-monster, master illusionist. Once inside this comic and tragic world Richard becomes caught in a triangle of love, jealousy, temptation and sexual adventure. Vividly imagined, authentic and richly-coloured, Lost Empires is a humorous and occasionally disturbing coming-of-age story as well as a haunting portrait of a way of life and a society soon to change forever. In 1934 JB Priestley published an account of his journey through England from Southampton to the Black Country, to the North East and Newcastle, to Norwich and home. In capturing and describing elements of the English landscape and people hitherto unseen in literature of its kind, he influenced political thinking through the thirties and forties and helped formulate a growing consensus for change that led to the formation of the welfare state. 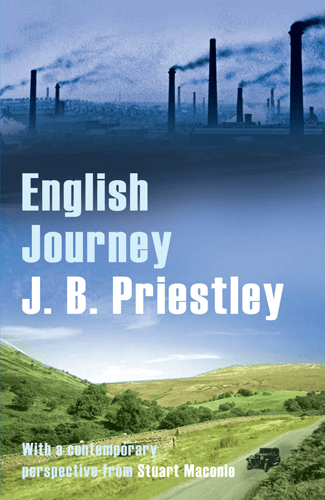 Insightful, humorous, moving and as relevant today as it was over 80 years ago, English Journey expresses Priestley’s deep love of his native country and teaches us much about the human condition and the nature of Englishness. A book anyone interested in England and English characters should read. Best known today as a novelist, playwright and a social commentator J.B. Priestley first found fame as a master of the short essay – a form he described as his favourite. Delight is a superb collection of one hundred and fourteen brief essays that capture and record the moments of wonder and beauty that are found beneath the surface of everyday experience. In his characteristic elegant, simple language Priestley praises the pleasures and magic of music, theatre, newspapers, travel, sport, playing games, childhood, the profession of authorship, domestic life and much more. An instant success when first published this hugely entertaining, amusing and life-enhancing book now returns to enthral and delight the modern reader.